You’ve asked and begged. You’ve even pleaded. It’s finally here. 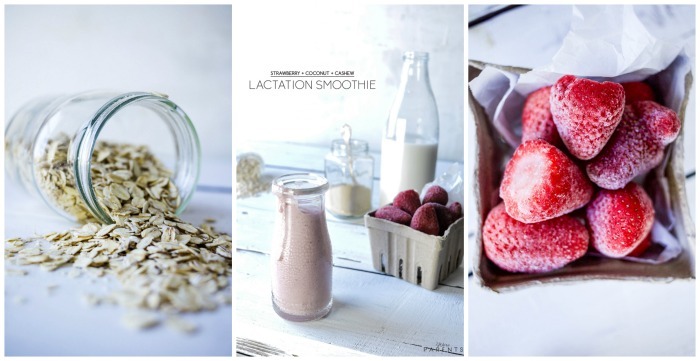 A BRAND NEW LACTATION SMOOTHIE RECIPE. It’s one of the hardest things I’ve done. Yet, it’s also one of, if not the, most rewarding thing I’ve ever done. You’re nourishing an actual human being and that’s no small feat. Whether you breastfeed for 5 days or 5 years, you helped to give that little one the best gift ever. 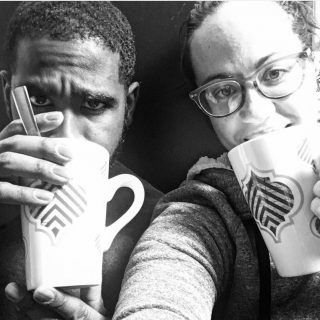 Part of making sure you are nourishing another human being is making sure that you are nourishing yourself as well. I know we’re all busy, especially once another little person enters into the world. Furthermore, if this isn’t your first littler person, you’re even busier. Sometimes we literally just forget to eat. But I’m going to have you make me a promise today. You will eat breakfast every morning. Deal? Deal! Good. HA! 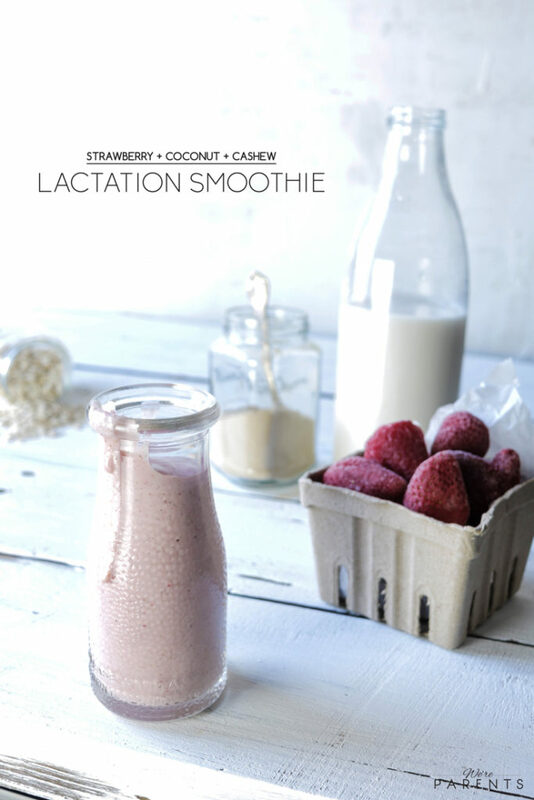 Now that we’ve made that commitment, let’s get to out strawberry coconut cashew lactation smoothie. 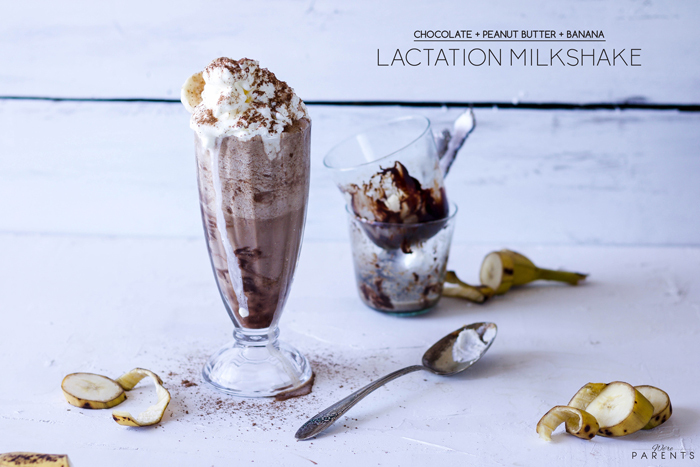 As with any of our lactation recipes, I’m going to put that disclaimer that you really need to get to the underlying issue if you think you have low supply. It’s very unlikely that you have a low supply or you aren’t producing enough to nourish your child adequately. However, there are a small percent of people who do. 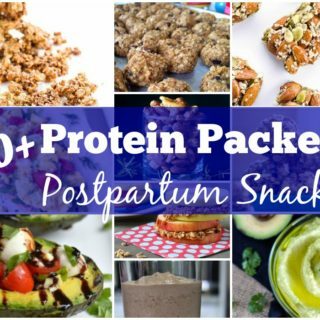 What we like to promote with our lactation recipes is that these recipes are providing you with the calories, protein, and healthy fats that you need to maintain a healthy supply. This lactation smoothie is delish. If you’ve never had the strawberry, coconut, and cashew flavor combination, you are totally missing out! 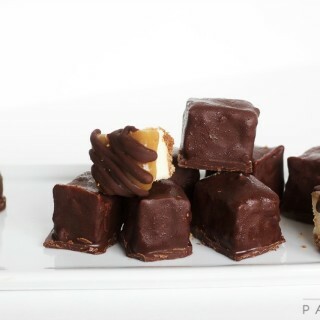 Without further ado, here’s the recipe you’ve been waiting for since forever! 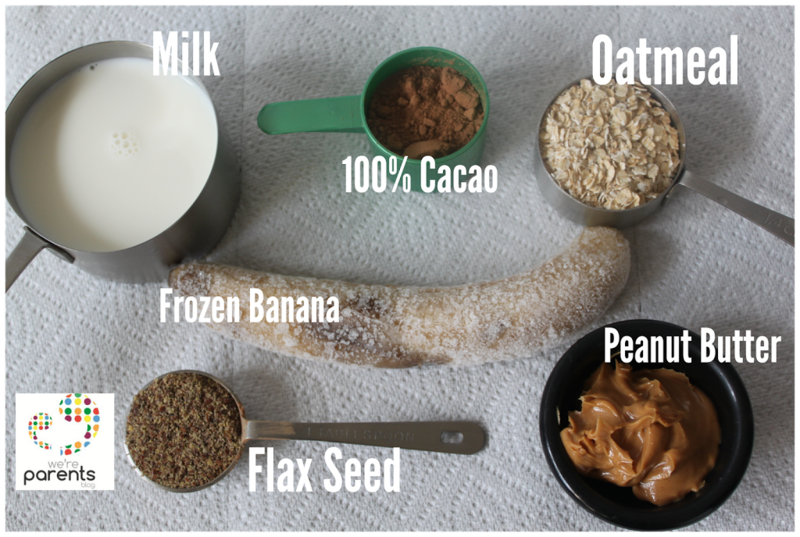 Add all ingredients to a blender and blend. If you need it thicker or colder, add a bit of ice. If you need it thinner, add a bit more milk. 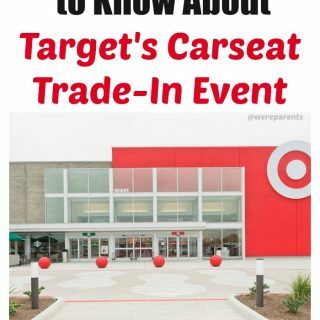 Here’s some products you might be interested in! 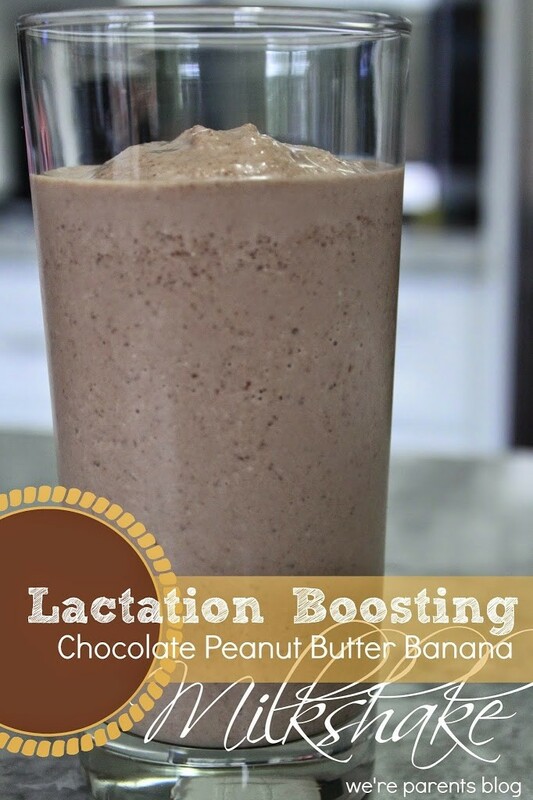 This Chocolate Peanut Butter Banana Lactation Boosting Milkshake is the most delicious easy lactation recipe that you need! Drink one everyday! 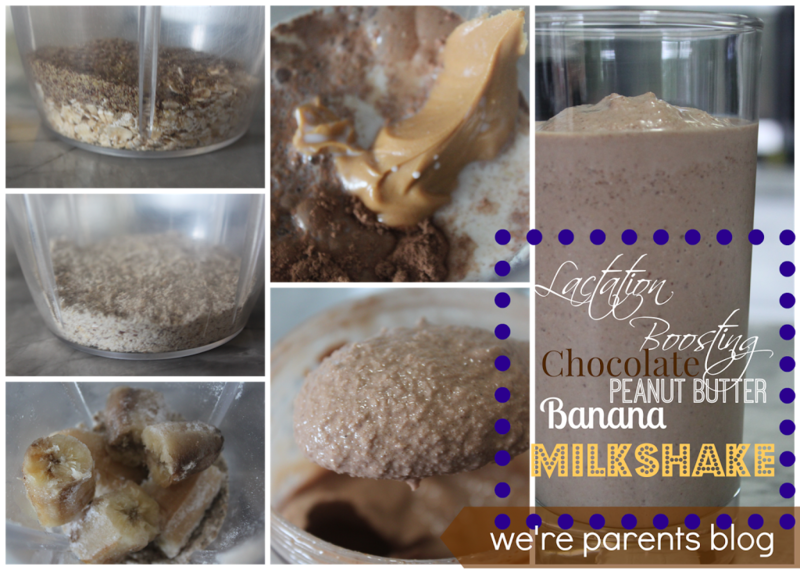 3/31/2017 Update: We had no idea this Chocolate Peanut Butter Banana Lactation Boosting Milkshake recipe would ever be as popular as it is! We’ve officially updated our images and have now included a video! 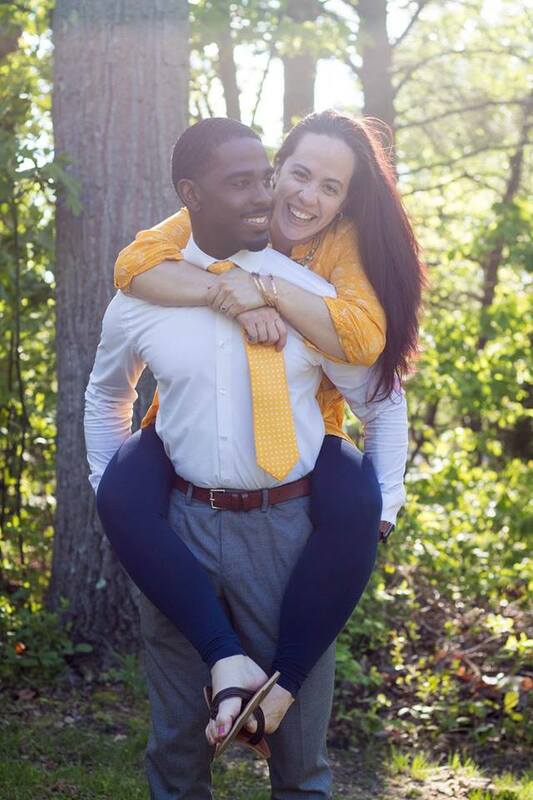 Thank you for the love and support! 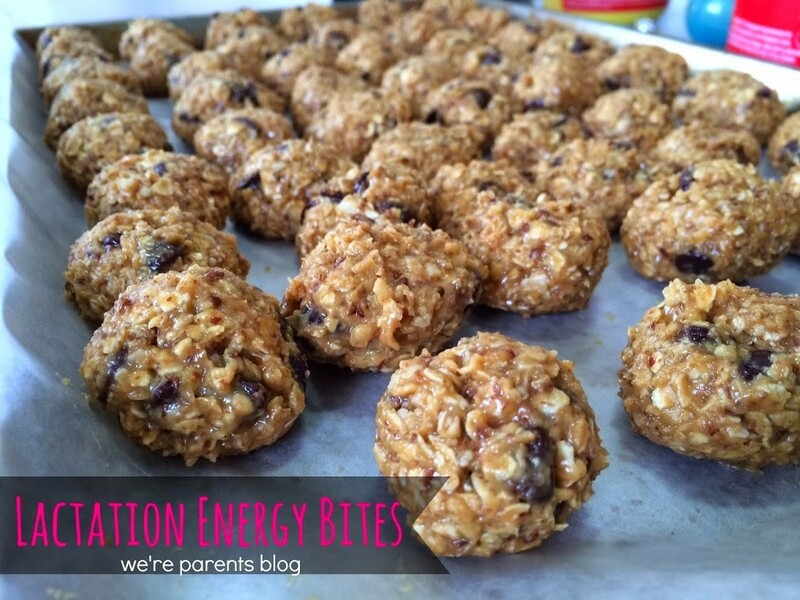 Want to try out more easy lactation recipes? 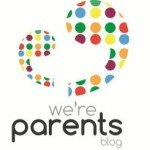 **Please note that while these are great for lactating moms, anyone can enjoy them! They are perfect for kids too! 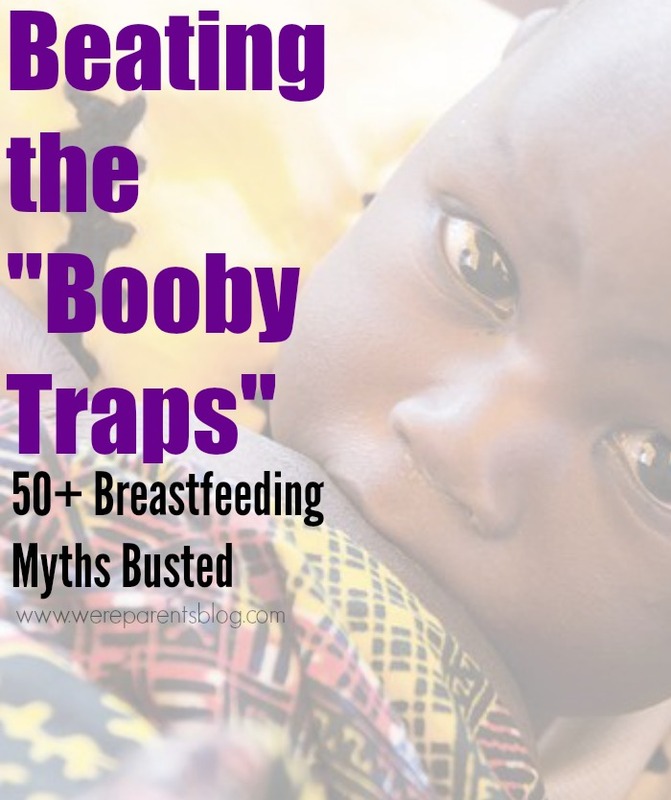 When I was pregnant, I knew one thing–I was going to breastfeed. That’s all I knew. 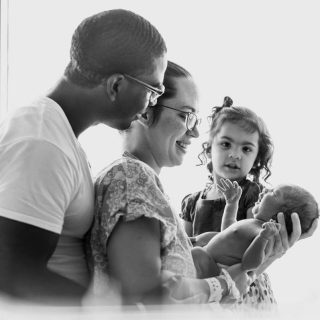 I knew it was better for my baby than formula, and since I was planning to be a stay-at-home mom and leave corporate America, obviously breast milk was the most economical option. But why no one in my life told me how difficult it was going to be was beyond me. 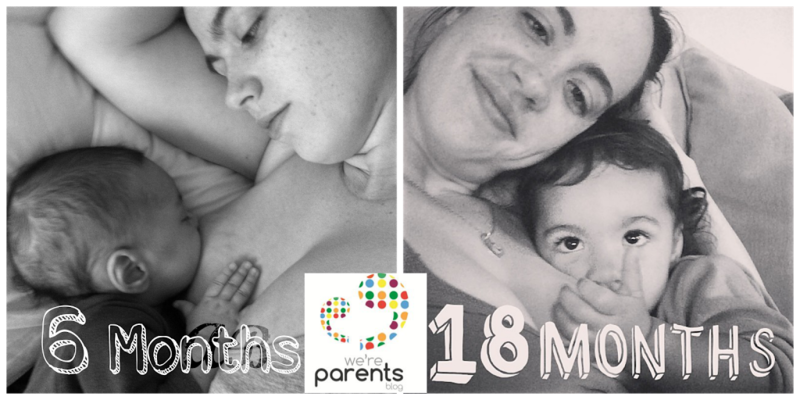 We succeeded breastfeeding and are still going strong at 18 months, but we’ve had our ups and down. Luckily, lactation recipes have made me more confident in succeeding. I can’t believe how fast she has grown. I feel like it was just yesterday that she was flopping around and we were both trying to figure out this breastfeeding thing. Now, she will nurse upside down, backwards, and standing on a handstand all at the same time. Okay, maybe not all at the same time, but you get the idea. I’ve been working to create some great, easy recipes to share so moms have great options when they need them. 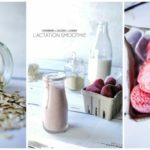 So how can this recipe help with lactation? Oats and Flax are known help boost milk production, while the peanut butter is a great protein to make sure you are getting the calories you need while satisfying your hunger since you are probably stuck on a couch nursing a baby. 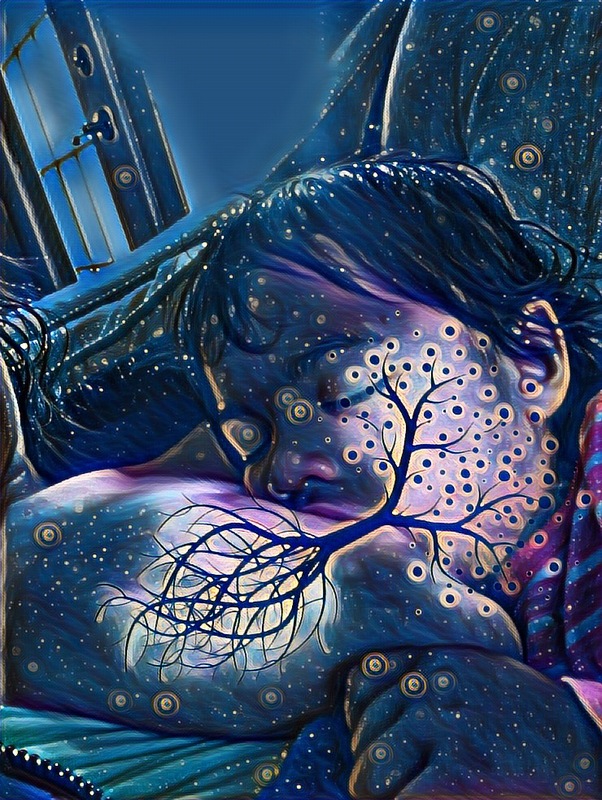 **Note: If you are truly concerned about your milk production, please reach out to an IBCLC and/or your local La Leche League. 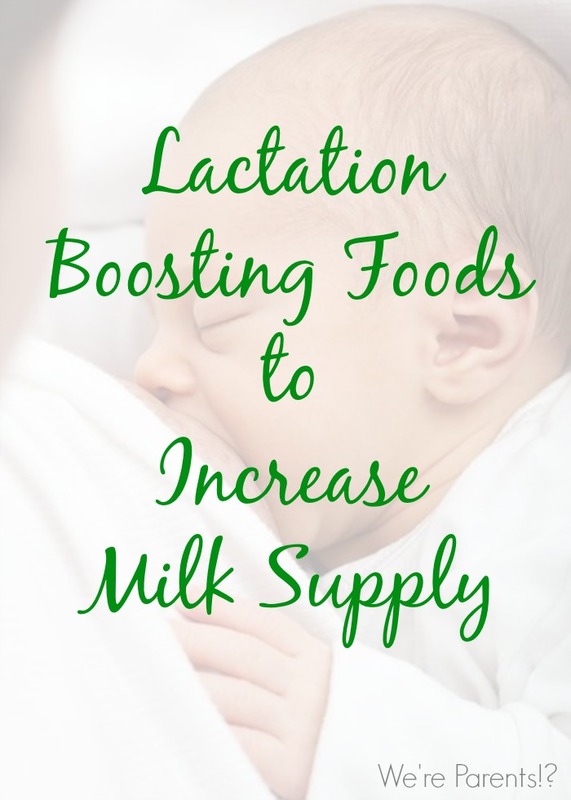 You can also read our post about Lactation Boosting Foods to increase your milk supply. In a blender, add the oats and give it a quick pulse or two. Add remaining ingredients, except ice, and blend until well combined. Add 2 cups of ice until well blended. 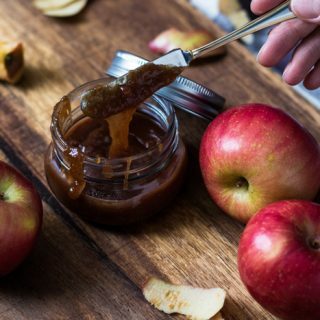 Enjoy with a thick straw or a spoon! I prefer to do a few quick pulses of just the oats and flax seed in the blender before the rest of the ingredients so my smoothie isn’t “grainy”. Then I add the remaining ingredients, except ice, and blend thoroughly. Lastly, I add the ice and finish blending. I find it easier to do it this way. 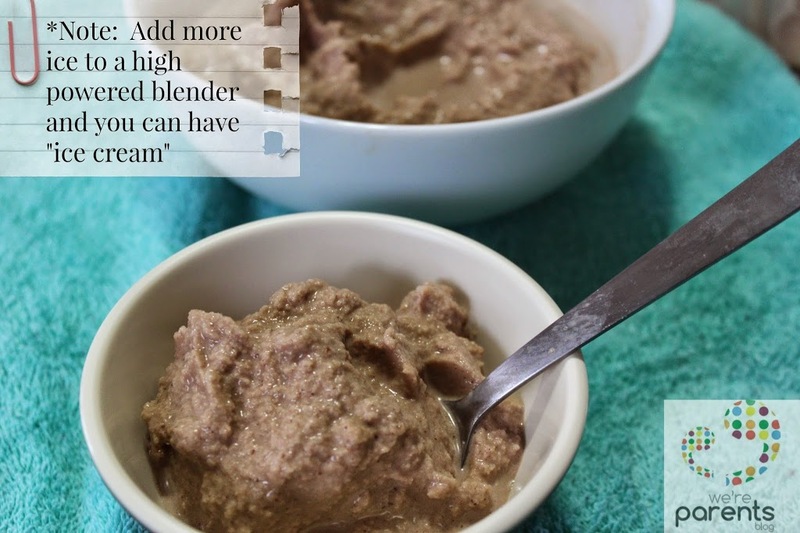 I’ve used both quick oats and old fashioned oats successfully with this recipe. I’ve made it with both fresh and frozen bananas. Both are great. 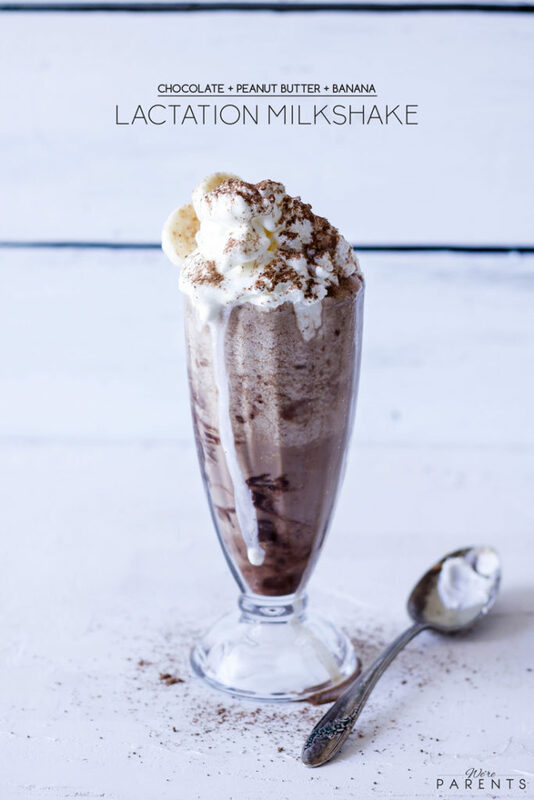 You may need to add a bit more ice with a fresh banana to make it as thick. 100% Cacao is slightly bitter since there are no sweeteners. If you are looking for a sweeter taste, add 1/2 to 1 full tablespoon of raw honey. Subbing milk for coconut or almond milk, or even water is always an options, though the taste will be different. 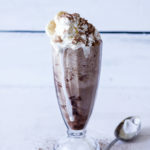 **The pictures below were the original pictures for this Chocolate Peanut Butter Banana Lactation Boosting Milkshake which you may have seen floating around Pinterest. It’s the same recipe, we’ve just gotten a lot better at photography!